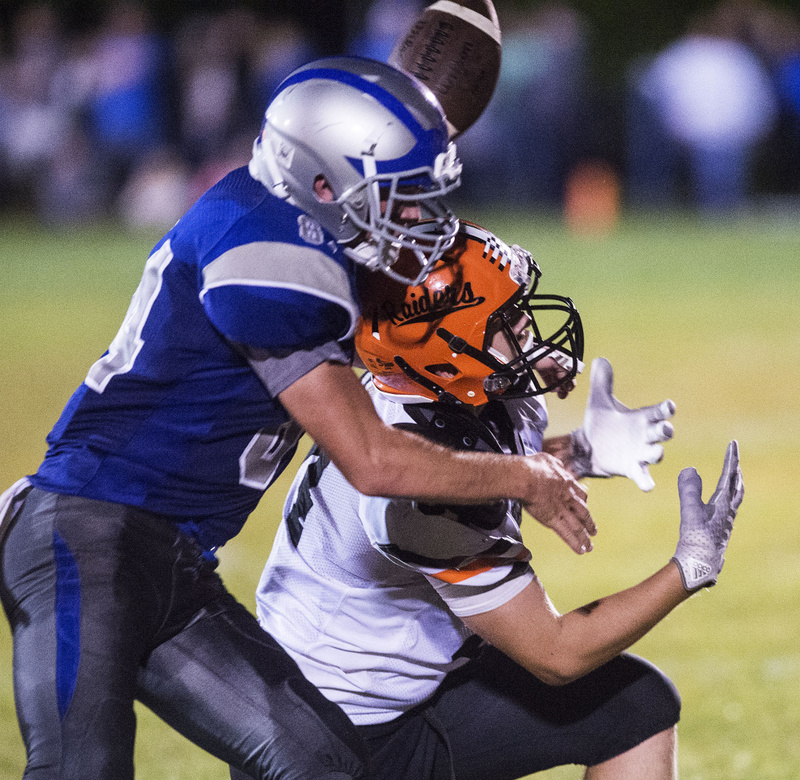 Bulldogs earn victory in 1st meeting of teams in 27 years. 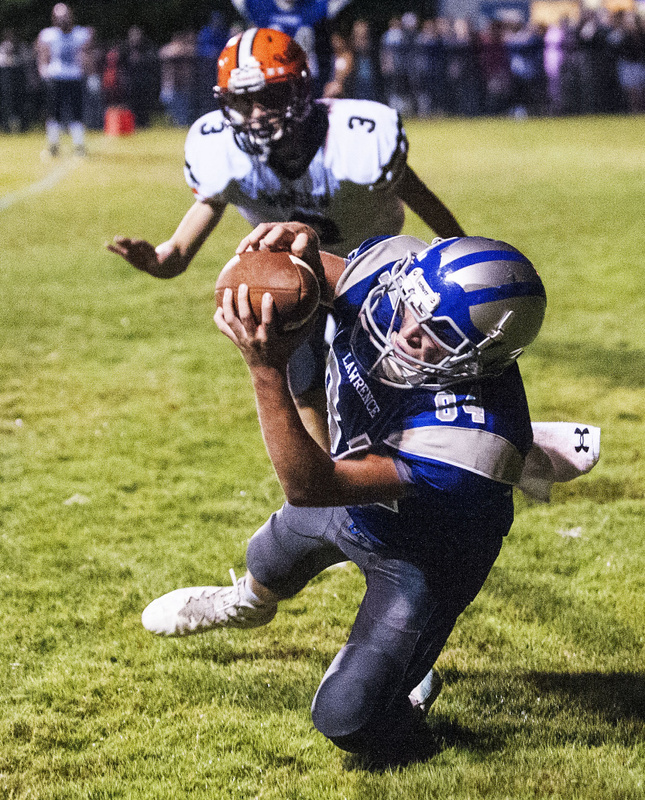 FAIRFIELD — Lawrence High School senior Tyler Larouche had never seen a Lawrence-Winslow football game. But he’s heard the stories of the rivalry. Now, Larouche is the main character in some of those stories. 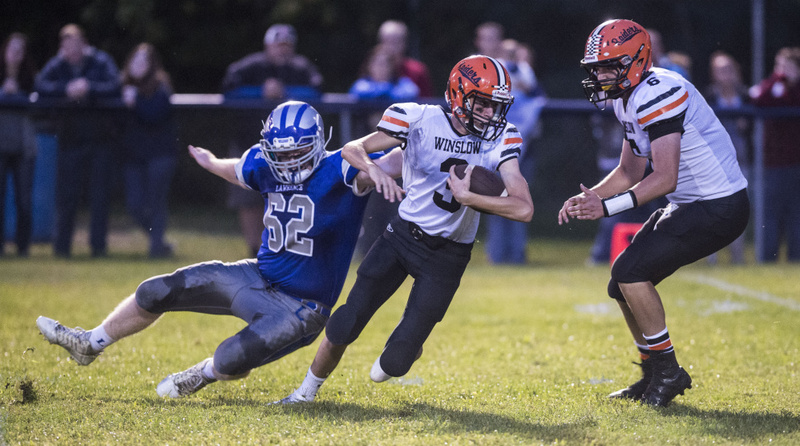 Larouche scored a pair of touchdowns, including an 89-yard kick return, to help the Bulldogs take a 24-14 win over Winslow, in the first Lawrence-Winslow game since 1990. Both teams are now 1-1. 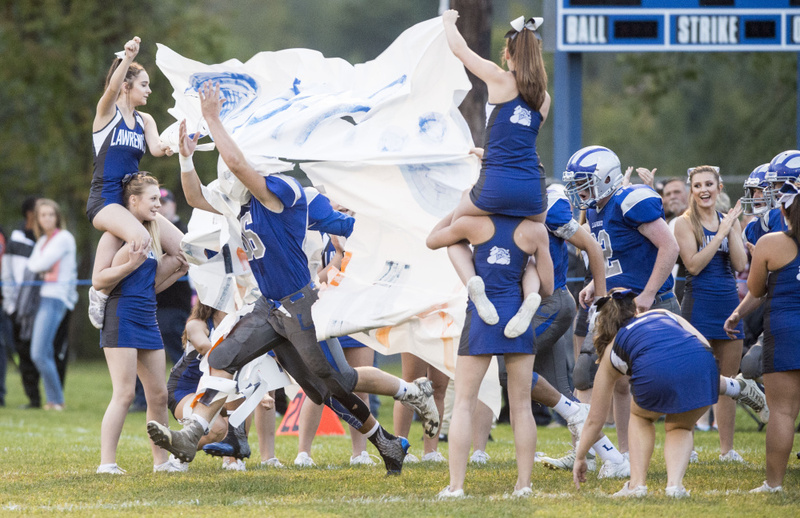 The teams played the second half in a steady rain, and a lighting flash as Lawrence took a knee in the final minute punctuated the rivalry’s return. “This is great. 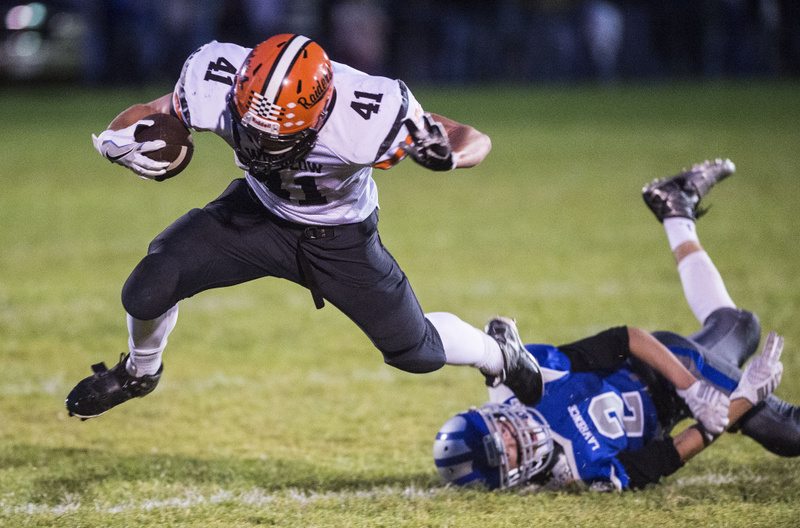 I’ve been waiting for this game for a year,” Larouche, who ran for 95 yards on 17 carries, said. 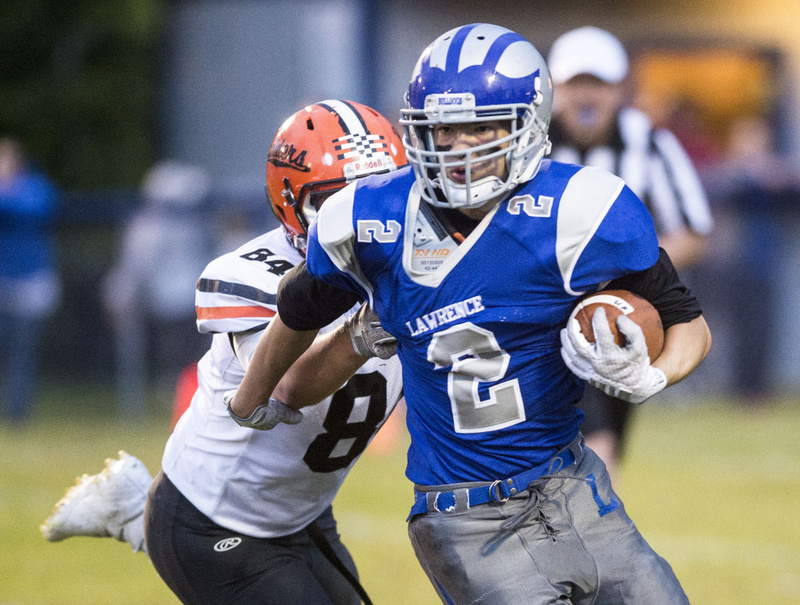 Larouche got the scoring going midway through the first quarter, when he capped Lawrence’s first drive with a 23 yard touchdown run and a 7-0 lead. Winslow answered with a six play, 68 yard scoring drive. Quarterback Ryan Gagnon went untouched 32 yards for a score, cutting Lawrence’s lead to 7-6. Larouche took the ensuring kickoff right up the middle for the score and a 14-6 lead. “I didn’t do anything. That was all the blocking. It was wide open. Anybody could’ve scored on that,” Larouche said. Again, the Black Raiders answered, when Ben Dorval ran 4 yards for the tying touchdown on the final play of the first quarter. That was the last highlight for Winslow’s offense. 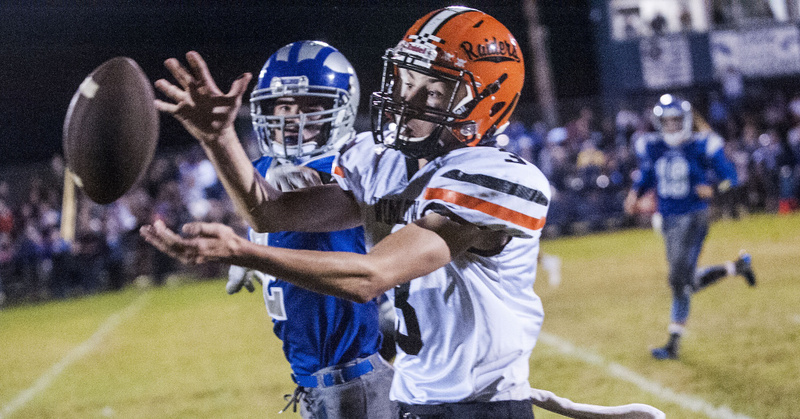 The Bulldogs tightened up, allowing the Black Raiders just 60 yards over the final three quarters. Lawrence scored the go-ahead touchdown with 1:33 left in the first half, a 10-yard touchdown catch by Jimmy Dixon from Braden Ballard. Dixon finished with four catches for 66 yards. The only score of the second half was a 27-yard field goal by Zach Nickerson with 1:21 left in the third quarter, which pushed Lawrence’s lead to 24-14. 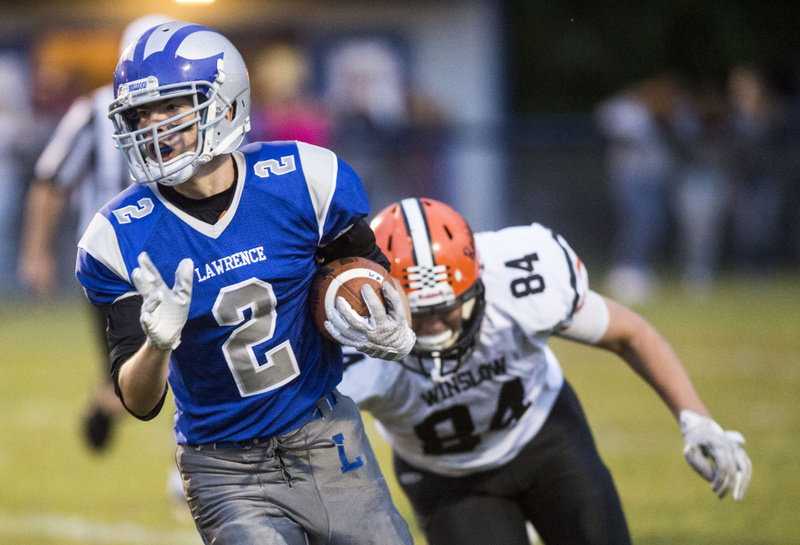 Isaiah Schooler ran for 88 yards for Lawrence. 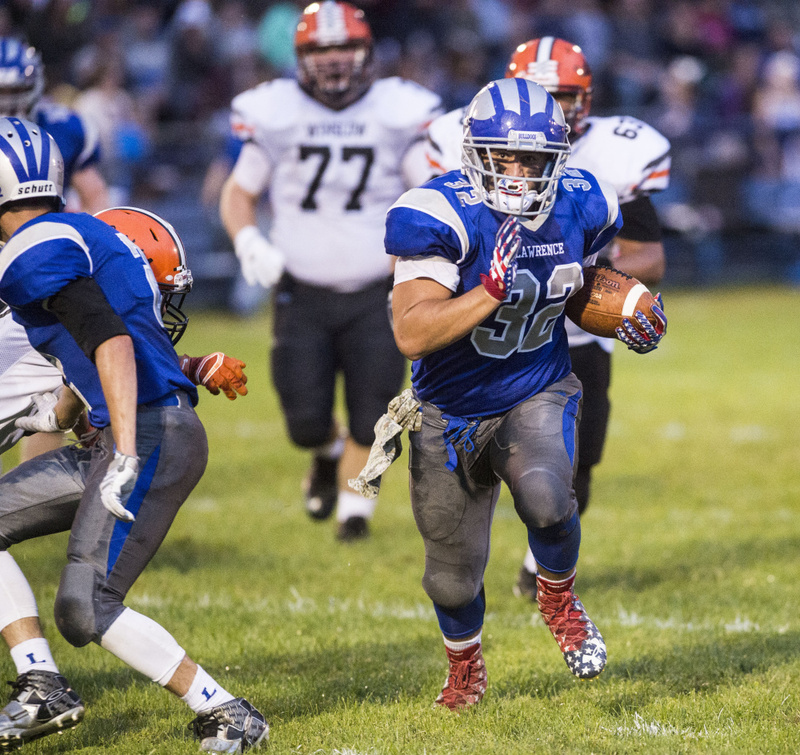 Gagnon ran for 65 yards for Winslow, and Ryan Fredette ran for 61.